Commonly called crown cacti, the Rebutia genus includes some of the most popular and easiest to grow cacti, making them perfect for beginners. These plants are native to high elevations in South America, where they grow in clusters on the mountains. They are frequent bloomers and readily send out offshoots, so even plants only two or three years old will form an attractive cluster of small plants. Their flowers typically emerge from the base of the plant or between individual plants in the same cluster, as opposed to the crown of the plant. In terms of culture, they are not particularly difficult and like bright light and light moisture. Light: Rebutia thrives in bright light and range of conditions. Many species can be grown in partial shade to full sun. However, as these are mountain species, they do not appreciate high temperatures, which should be avoided. Water: Throughout the growing season (spring and summer) let the potting soil almost completely dry out between waterings, then water thoroughly. In winter, cut back watering. 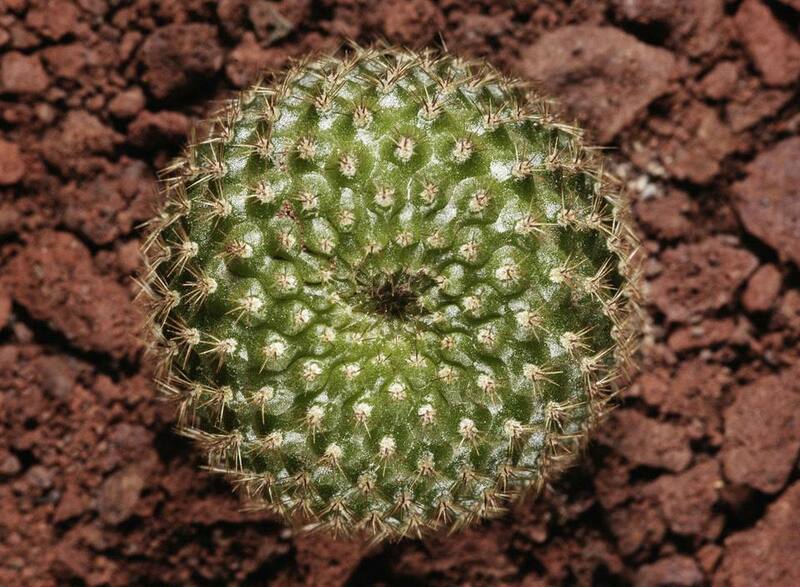 Rebutia cacti can be propagated easily from offsets, which readily in clusters around the base of the mother plant. Once your plant has gained a decent size and has sent out several offsets, carefully remove the offset and allow the cut to dry on a paper towel for a few days. Depending on the size of the cut area, a callous will form over the cut surface. Once the callous has formed, place the new plant in a pot with a potting soil mixture and keep in a warm place until new roots emerge. Once the plant is established, repot it into a regular container. Repot as needed, preferably during the warm season. To repot cacti, make sure the soil is dry before repotting, then gently remove the pot. Knock away the old soil from the roots, making sure to remove any rotted or dead roots in the process. Treat any cuts with a fungicide. Place the plant in its new pot and backfill with potting soil, spreading the roots out as you repot. Leave the plant dry for a week or so, then begin to water lightly to reduce the risk of root rot. R. wessneriana. This plant will eventually form a large cluster of large, bright red flowers. R. marsoneri. These low-growing plants feature yellow flowers and are very popular. R. minuscula. A lovely red-flowering species with a devoted following. If you can grow cacti and succulents successfully, you can likely grow the popular Rebutia without too much trouble. Their water and light requirements are fairly typical for many cacti species, including a cooling period in the winter to promote better blooming. Watering should be done carefully, allowing the plant to almost dry out between waterings. It's imperative that the cactus is not exposed to prolonged dampness and sitting water. Never let your cactus sit in a dish of water. For the best viewing, instead of propagating your offsets, let the plant for a large cluster. When it blooms, this will make a truly beautiful display. Lastly, make sure to fertilize during the growing season for the best results.